Dublin, Ireland, 25 March 2019 The Minister for Business, Enterprise and Innovation, Heather Humphreys TD, is today, 25 March 2019, encouraging businesses to make sure they have the adequate cashflow to see their operations through Brexit. Cashflow problems could arise for business for a variety of reasons including currency fluctuations, customs, potential delays and tariffs. Enterprise Ireland's R&D Core Unit is hosting a number of regional events on their new Agile Innovation, Research and Development funding programmes. Offering fast-track approval and a streamlined online application process, the new Agile Innovation Fund allows companies to access up to 50% in support for product, process or service development projects with a total cost of up to €300,000. Department of Business, Enterprise & Innovation - Future Jobs Ireland 2019 now launched! 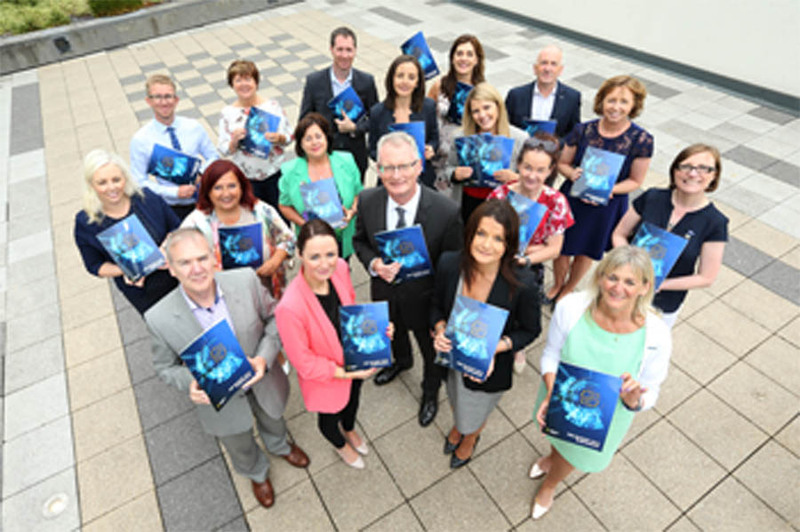 Read more about Department of Business, Enterprise & Innovation - Future Jobs Ireland 2019 now launched! Mentor Mayo, brought to you by Local Enterprise Office Mayo and Mayo Business Mentors offers Free mentoring support to the business community. This is suitable for anybody who is thinking of starting their own business, a business start-up wanting to scale or an established business who wants to expand and grow. Ballyhaunis Local Employment Service, Clare Street is now open Monday to Friday. This is a private and confidential service providing career guidance, interview techniques, CV preparation and information on training and employment. Call in or phone 0949630080 to arrange an appointment. Will You Be The Next Mayo IBYE? With an opportunity to compete for a share of an investment fund of €2 million now is the time to get your application in for Ireland's Best Young Entrepreneur 2019. The Search for Mayo IBYE Winners is on ... will it be you! Open to people between the ages of 18 and 35 with an innovative business idea, new start-up or established business don't miss out on a fantastic opportunity to gain access into investment for your idea or business. The closing date to enter this year’s competition is Friday 15th March 2019. Read more about Will You Be The Next Mayo IBYE? Interested in hearing how Brexit may effect your business? The Local Enterprise Office Mayo are running a workshop to cover areas relating to tariffs the implications on a business, rates of tariff, VAT implications, currency fluctuations and foreign payments, sourcing and or selling in the EU as well as knowing how to spread the extra costs and freight forwarding to beat or minimise the tariff costs. Read more about Interested in hearing how Brexit may effect your business? “The analysis in today’s ESRI report clearly outlines what we have been hearing from the Chamber Network for some time now; that high childcare costs are directly impacting upon women in the workplace, contributing to lower rates of employment and contributing significantly to the high cost of living in Ireland. Chambers Ireland today (12 July 2018) launched its Pre Budget 2019 Submission, recommending that Government use Budget 2019 as an opportunity to think strategically about how we can future-proof our economy and make the best use of today’s prosperity in preparing for the threats facing Ireland on an international stage. Ballyhaunis Tidy towns are encouraging people to contact the local litter warden on 094 9024444 if they notice illegal dumping. This call comes after a number of cases of dumping of household rubbish in the area in recent weeks. In order to ensure compliance and avoid fines, employers paying below the National Minimum Wage for training purposes must implement a structured training programme which allows the lower payment. Mayo County Council has launched an iniative through a new national website designed to gather information on vacant homes throughout the country. Local government wants to engage with owners to assist in bringing these homes back in to use. Today (14th February 2017) on the eve of the European Parliament’s crucial vote on the Comprehensive Economic Trade Agreement (CETA) with Canada, Chambers Ireland and national Chambers from across Europe call on EU leaders and governments to stand firmly in favour of an inclusive and forward-looking EU trade agenda, while also warning that recent complications around the deal have highlighted that the effectiveness of the EU’s common commercial policy is at stake. TheLocal Enterprise Office Castlebar provides business advice and mentoring to existing and potential clients. This free service is geared towards those who are considering starting their own businesses, those who have recently done so and existing start ups that are moving to the next stage of their development. A business advice and counselling meeting will initially point you in the right direction and help you prioritise the actions you need to implement to make progress. Enterprise Ireland are running a competiton for start-ups that are currently based outside Ireland. Investment of €50 k for a 10% equity stake plus mentor, development program, assistance with banking and accommodation. The R&D Fund exists to support projects which have the potential to develop novel products and services with a clear competitive advantage in their target market. This will enable companies to increase employment through sustainable and substantially increased sales. A demonstrable connection between R&D and the overall business objectives. The ‘Ireland West International Trade Centre’ is a collaborative partnership developing a soft landing platform in the US for companies, businesses and entrepreneurs based in the West and North West of Ireland. Our strategy is to assist indigenous companies explore export opportunities in the US. Our objective with our partners in Rhode Island is to provide a cost-effective client based service to identified companies in the region. Supporting our companies with direct support, networking and connectivity with US based Diaspora.